They are all over the place: lounging on my patio chairs and tables; filling the double sink in my kitchen; commandeering the shelves in my refrigerator; and I just finished filling a laundry basket with the ones I picked from one of my trees today. The composter is brimming with the discarded peels and seeds of the many that have already been consumed or frozen for later use. I have gained weight feasting on them and I’m trying to cut back from eating two a day, to one. It was only a year ago that I was mango-poor and would delight when any of my friends with mango trees would give me some of their delicious fruits. 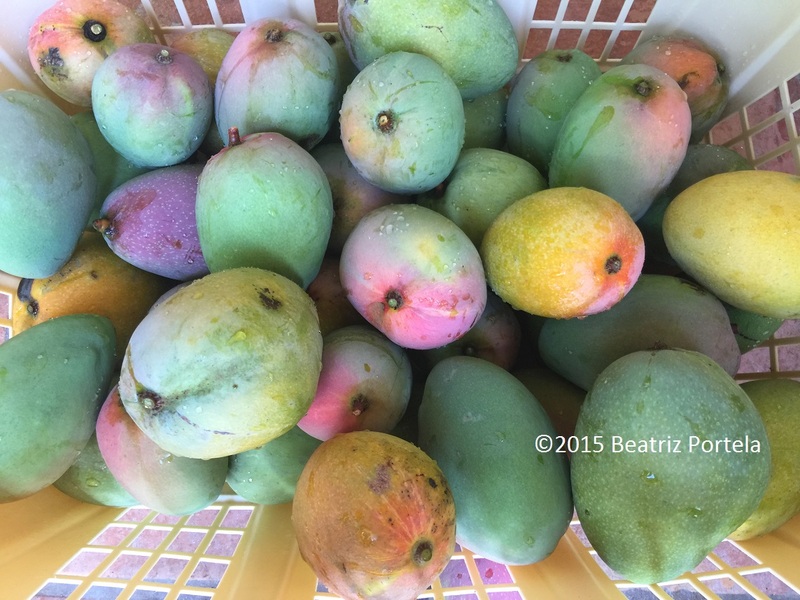 Now, having moved to a house with 3 mango trees, I get to be the one to give the prize away. Yay! Life is sweet. I have the same ones yet they simply lasted a week prior to they stop working. I live in northern Canada and I am so jealous! Just want you to know that I am STILL drinking my mango smoothie that I made 4 days ago and it’s still DELICIOUS! What a great pick-me-up when I need a boost! Oh the memories of climbing the trees, settling into my little spot between the branches, & surveying ‘the world’ while trying to keep the sweet juice from staining my shirt as it dribbled down my chin with each slurp! I’d love to have just one of those trees but I’m glad you’re the kind of neighbor that shares – that was also one of the great parts of summer as a kid. Enjoy!